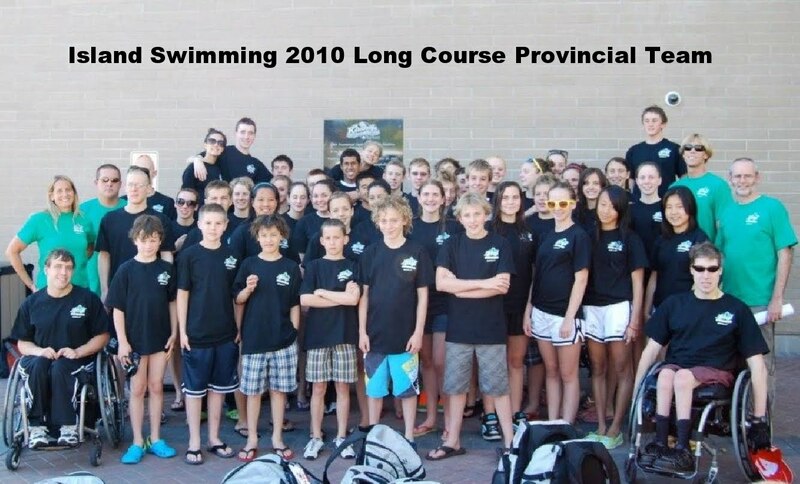 Island Swimming: 2010 LC Provincial Champions! Congratulations to Island Swimming's 2010 Long Course Provincial Team. Well done! This is also a good time to thank all our coaches and our chaperones, Margot Inches and Betty-Ann Hansen, who did a great job of looking after the team. They took on a very big job and these are the kind of volunteers who make it possible for our kids to travel as a team and perform well. Thank you ladies! We all appreciate your hard work.